To address these questions, my colleagues Valorie Crooks, Rory Johnston, Leigh Turner and I will be visiting Barbados from April 26 – May 2, 2011 to conduct interviews with ‘medical tourism stakeholders’. We would like to invite you to participate in an interview during our time there in order to better understand the scope and effects of medical tourism in Barbados and the role of Canadians in this industry. The interview can be conducted in the location of your choice and is expected to last 1 ½ hours. With your permission it will be digitally recorded. To recognize your valuable contribution to knowledge, a $50 Canadian honorarium will be provided upon completion of the interview. If you are interested in meeting with us and participating in the interview, please let me know when during April 26 – May 2 you would be available. If you decide to participate in an interview I will send you more details, including an overview of your rights as a participant in this research study. 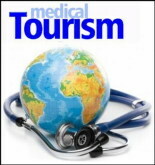 If you know of any others who you think should be interviewed about medical tourism in Barbados, please feel free to share this email with them or to pass along their contact information with their permission. Simon Fraser University needs to do a lot more homework before heading into an ambush. Find a country that needs and respects you and your efforts first. Question: Is the Barbados government in any way subsidizing this study by the university? Are they providing accommodations in a government owned hotel? I see that this team and the lead researcher do many studies and they take on the pharma industry occasionally too so they probably wouldn’t want their independence tainted by accepting any assistance from the countries they study. But the political elites have a way of sliding corruption into the mix and if this university team doan watch out! – before they know it they will be sucking on the G’mnt teet IMHO. Canadians are opting to come to Barbados for medical procedures? WTF! I agree with you, we can’t look after our own though I suppose we don’t have the money for ‘private’ medical care, my cousin spent 36 hours in A & E after a major stroke, you think he’s OK? should have been operated on real quick as he had a big bleed, disgusting care. I am curious, maybe I didn’t understand this posting. Are the research team looking for Canadians who have come for medical treatment, or are they looking for Barbadians who provide the service, or just for anybody looking to kill 1.5 hours in an afternoon and have a chat? sort of like that but in a warm climate, a shot of rum and a sun chair with no real accountability. Seems to me that this study should be done in Canada with Canadians. Bajans beware they want to pick ya brains and steal the way how to. Ya know we Bajans like to spill we guts. EVERYTHING NOWADAYS IS COMPETITION ,THEY WANT TO DIG AT OUR OFFSHORE INDUSTRY. Beware, in whose interest are they acting FIRST!! Is it our interest,will it benefit Barbados? Still cold up there, any excuse to come to Barbados will do. Personally, I think if Barbados and Canada started cooperating on healthcare then great. As two countries with public owned healthcare I feel both governments could possibly use their joint purchasing-power to purchase drugs together in bulk (and for less). As two countries they could negotiate cheaper prices on the international market. The more countries which join-in the better. They can request lower costs due to scale. Seriously, if all of the Caribbean and Canada purchased drugs together what would the global pharma companies say? No? Global medical companies are merging to streamline costs. For countries that have national healthcare they too should be considering a global healthcare network of like-minded government. I would say (on a 5 year trial) Canadians that live in Barbados could get their medical treatments done in Barbados (if they want), and be covered by Canadian healthcare. In exchange, if there is an advanced medical treatment which a Barbadians can’t have done in Barbados, then Canada allow those Barbadians to goto Canada for treatment. Would that be fair trade off? Essentially Canadian and Barbadians healthcare would be like the same medical network of hospitals. The whole cost of this study seems to be a boon doggle. I would suggest the first thing these folks do is go down to QEH and check out the facilities and the wait times in emergency. But then again, it was not tht long ago that Barbados was in the thought process of becoming a province of Canada….that would get us all free medical and be part of one of the finest medical systems in the world. Maybe that is under way again. I am all for improving health care. Barbados has one of the world leading companies in the generic drug manufacturing business operating on the island. …Biovail located out towards Oistins. Prescription drugs in Barbados should be very welll priced. @watcher. Medical in Barbados is majority subsidized by the Barbados government as well. Prescription medications for the most part have been free to Barbadians to until this month (April). This should give you some idea of Barbados’ healthcare.